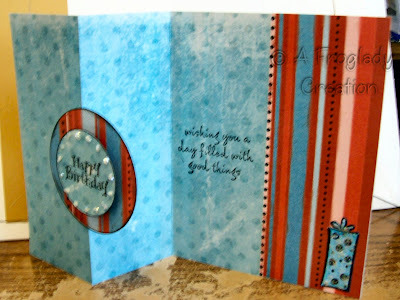 Just a quick share today of a z-fold card I made for a friends birthday. Bright bold colors that really shouted at me that day for some reason LOL! The birthday present was stamped, colored with my Copics and then covered with a bit of stickles. I then used some Diamond Glaze on the top and left it to dry over night. 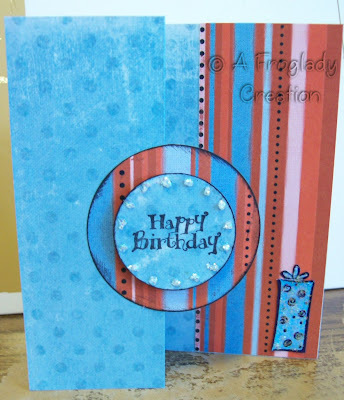 The birthday was stamped then cut out with my punch and then I applied some stickles to the outer edges. I edged both circles with my Noir Palette Ink and layered them using foam tape for the top. Was a fun cheery card to make and I hope it brightened the recipients day!